Turkey Town, I love saying it. 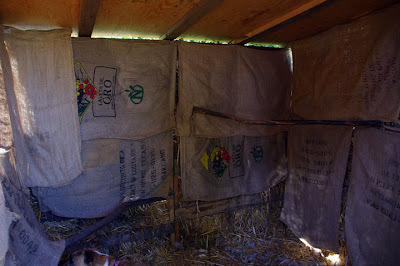 So when getting livestock you should have some kind of shelter fro them. 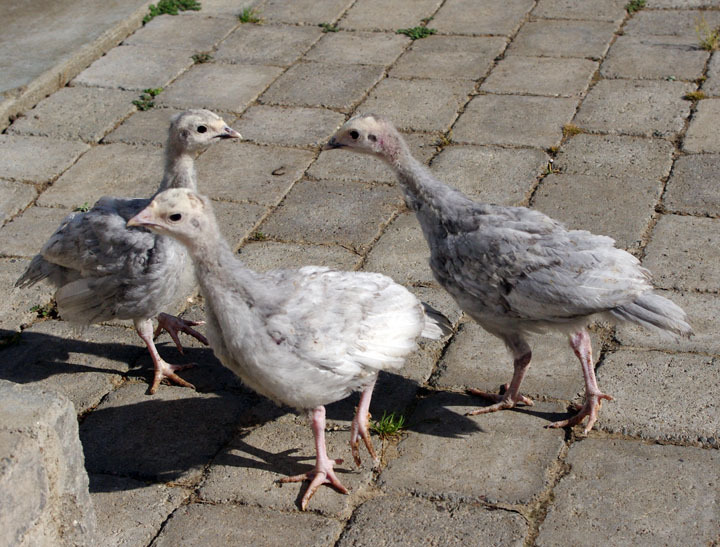 When we decided to get Turkeys we got them as poults (day old babies). That part was easy aswe just housed them in a old dog crate turned into a brooder for a couple of months. Then they started to get big so we had to come up with some kind of housing. That’s where Turkey Town comes in. I started to think about what type of housing to build that cost the least. The first thing that I thought of was a big shipping crate. I found one behind a wine shipping business and asked them if they were planning on keeping it. Unfortunately for us they were. 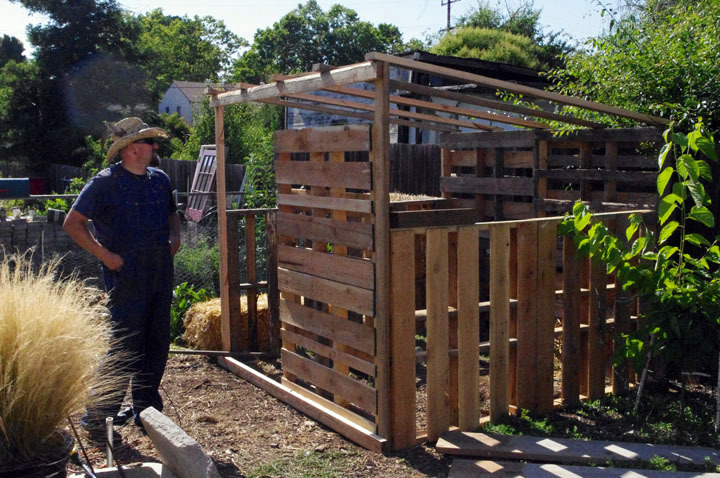 The second option was to build one from the ground up. Too costly and we try to avoid using new materials whenever possible. Then I was at work one day and got to thinking about how to get rid of the pallets that were stacked out bock of our warehouse. And that’s when it hit me. 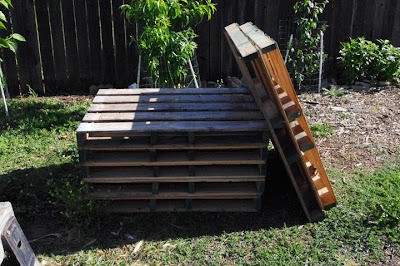 I could build something out of pallets. The first thing was finding the right pallets. What i did was look for the ones that where exactly the same size, and how many I would need. 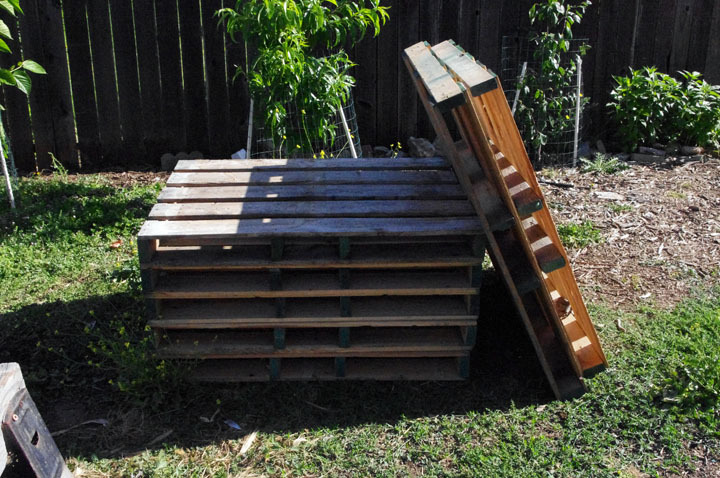 I figured that I needed about 10 pallets. Starting out with 2 on the right side and 2 on the left side, 4 for the back side and 2 more on the front. By using old scrap 2 x 4’s cut into 1 foot piece’s that I found in the yard I then attached the pallets together along the inside framing. 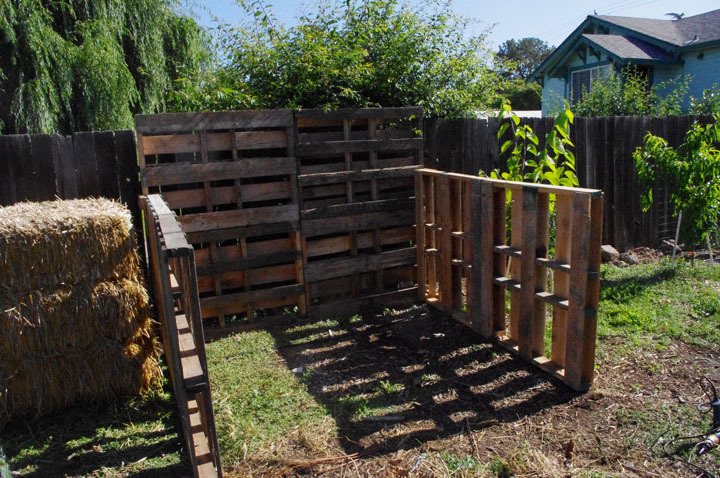 Then I attach the sides to the back wall, then to the front. Now with a little thought into it I had to come up with some structural support or all this work would be for nothing. With about $50 worth of materials I got ten 2 x 4’s x 8′ and 2 pieces of plywood 1/2 inch thick and started framing. 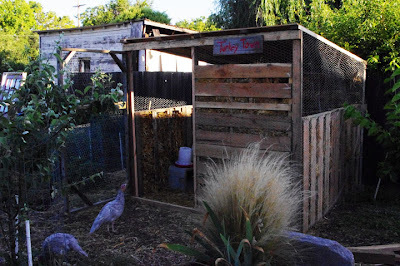 Don’t forget the chicken wire. I put in two foraged branches, one at 2′ and one at 4′ high. 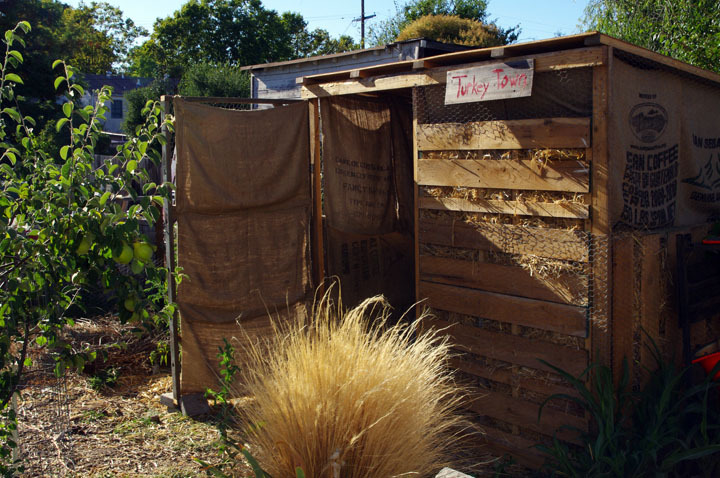 We lined the inside with free burlap sacks that we got at the local recycler to help block our strong winds and to stop the rain from coming inside. 3 hours later and I’m done with Turkey Town v1.0. Necessity is the mother of invention, a very creative way to re-use found materials, and it looks great. Well done! We have used a very similar design for our pig shelters. That is such a great idea! Love it. In speaking of turkeys, do you recommend keep them with chickens? I've heard it's not recommended, but I know of several people who do it. Thanks!